Looking for that perfect Potter gift for your significant other? Look no further! 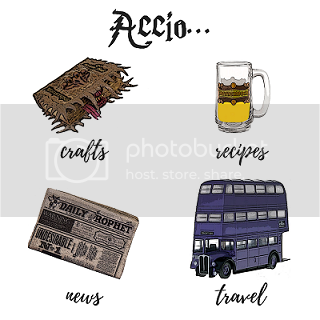 There are so many cute Harry Potter couples gifts that exist and I’ve compiled a list of them for you. For an anniversary, a birthday, or just because, these gifts are sure to make any Harry Potter heart swoon! Perfect for both long distance and same bed relationships, these Always matching pillows would make a Potterhead’s bed complete. Featuring a quote from our beloved Snape, they detail the line that many of us feel about our significant others. After all this time? Always. She’s a catch, he’s a keeper. We’ve all seen the cute couples play on words of these Quidditch positions. The necklaces with the same lines are a cute twist on this couples phrase. Wear it on your person or put it on your key chain to be reminded of your significant Potter other. If you want to display your Potter love a little more proudly, you can wear it on your shirt! Perfect for an outing to Universal Studios, these catch and keeper shirts make a great Potter gift that you can enjoy with your significant other. Candles are a quintessential couples gift. Why not throw a Harry Potter twist on it? With this always candle, your significant other can light up a scent that reminds them of you! The lavender scent is sure to please. Cuddle up together with this beautiful Hogwarts blanket! This is a Potter couples gift you can both enjoy. What a better way to celebrate your love than a Harry Potter movie night, some pizza, and a cuddly blanket? There is none! Are you on Facebook or Instagram? Let’s connect! I love to meet new Harry Potter people! !